Some Ontario motorists would like an auto insurance system that lets carriers offer lower rates to clients who use the carriers’ preferred collision repair or healthcare facilities, an Insurance Bureau of Canada official suggests. 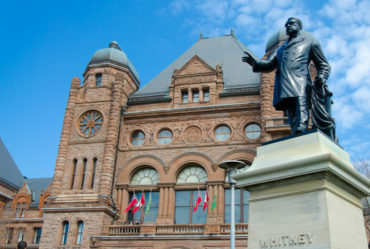 In its budget document tabled April 11, the Ontario government is promising to let auto insurers give clients more opportunities to get discounts. “Drivers should have the choice to lower their premiums by allowing insurers to consider their credit history, or by agreeing to use preferred providers of auto repair or health care services,” the government said in the budget document. Carriers are currently prohibited from using credit scores as rating factors in auto insurance in Ontario. It is “interesting” that the current government would change this, but it is not clear how this would be rolled out, Karageorgos suggested. Offering more consumer choice was one recommendation made by David Marshall, then a special advisor to the finance minister on auto insurance, in Fair Benefits Fairly Delivered, released Apr. 11, 2017. At the time the Liberals were the ruling party. They were replaced by the Progressive Conservatives in the June, 2018 election. “Insurers should be empowered to offer additional coverages and new products if consumers are willing to pay and insurers should be encouraged to innovate and introduce new products,” Marshall wrote in 2017. The current government’s auto insurance strategy is intended to improve consumer choice and give them more control over rates and coverage, Finance Minister Vic Fedeli said in last week’s budget document. “This government is obviously interested in looking at the Marshall report. I think they recognize that to fix auto insurance, this is a problem that has been decades in the making,” Karageorgos said Monday. In Fair Benefits Fairly Delivered, Marshall recommended in 2017 that cash settlements be banned for first-party medical and rehabilitation care. It is too early to say whether this would change accident benefits coverage from how it works now, said Karageorgos. “Any regulatory or statutory changes would have to still be introduced. We are still probably in the early stage of looking at that,” he said. Karageorgos noted the government recently surveyed tens of thousands of Ontarians on auto insurance.